ASP 07408 AK47 Training Simulator FREE SHIPPING! 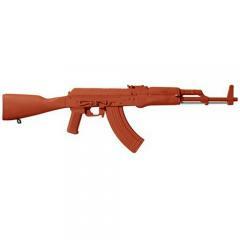 Firearm simulator urethane AK47 replica for law enforcement and military training. This ASP RED GUN is a realistic, lightweight replica of the actual law enforcement equipment. Red Guns are a safe alternative for training as it would be difficult to confuse them for the real thing. This urethane training gun is ideal for weapon retention, disarming, room clearance and sudden assault training. ©2002-2019 CopsPlus.com: ASP 07408 AK47 Training Simulator FREE SHIPPING!